We bet that you have never seen words ‘gourmet food’ and ‘outdoor’ in the same sentence. 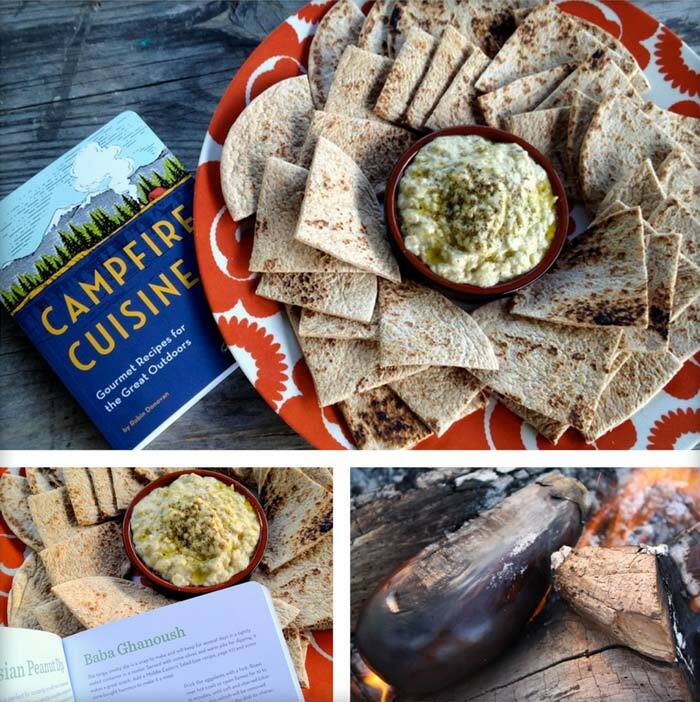 Yes, the food cooked outdoors can be of gourmet quality if you use the recipes from a book called Campfire Cuisine – Gourmet Recipes for the Great Outdoors. 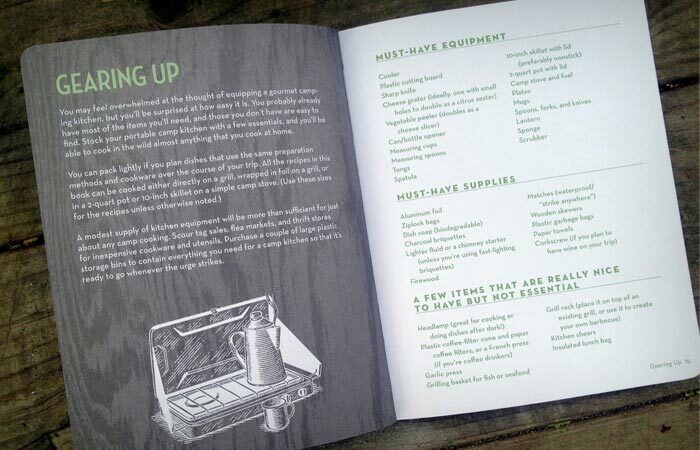 The book is an excellent guide for camping fans whether they are die-hard cooking aficionados or new at cooking. It is written by Robin Donovan, a food and travel writer and a devoted camper based in San Francisco. Campfire Cuisine – Gourmet Recipes for the Great Outdoors is practical and compact, with a sturdy paperback cover. Don’t worry, it won’t add much weight to your backpack! The book contains over one hundred recipes for delectable and healthy meals like the grilled flatbread pizza, banana foster French toast, foil-baked yams with spicy chili butter and fish with curried couscous for which preparation you will need either a camp stove or grill. Since the recipes are a touch more elaborate than for your typical outdoor canned meals, some at-home preparation is required. Additionally, Campfire Cuisine contains the information on the required cooking equipment, tips on choosing a camp stove, advice on how to start a fire and plan a menu, as well as basic storage and packing rules. Campfire Cuisine is for people who love tasty food and great outdoors and who cannot envisage one without the other.